I’m a fan of Wes Anderson. Sometimes his schtick works. Sometimes it doesn’t. But I think he’s got a decent track record. my favorite films of his are still Rushmore and Life Aquatic. It’s fun to see him stretch out into other media such as commercials when it happens. He did an American Express commercial a few years ago and now he’s back with his easy to spot visual style in the new H&M Christmas commercial. 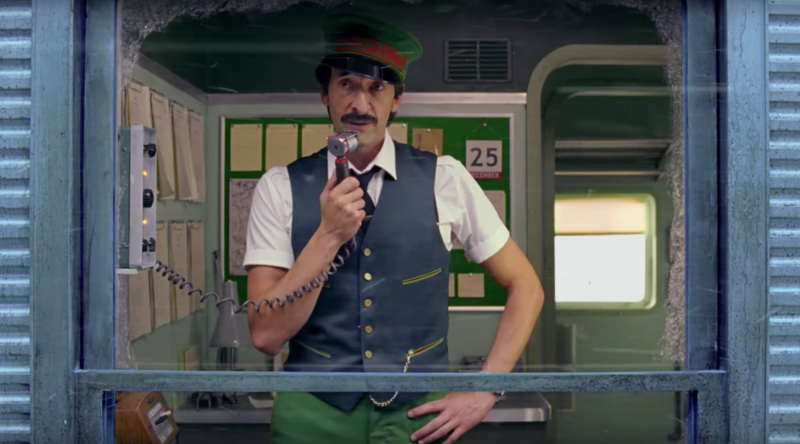 He enlists frequent Anderson actor Adrian Brody to bring the holiday cheer. Below is the full length trailer. Shorter versions have been running on TV nation wide. Enjoy.